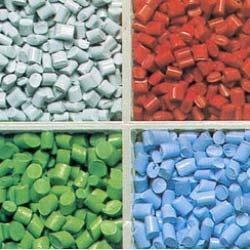 We hold expertise in manufacturing and supplying a high quality range of Colored Plastic Granules. 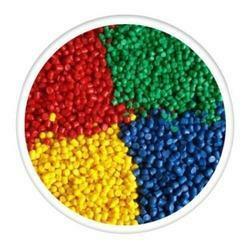 We are one of the leading manufacturers Colored Plastic Granules in India. 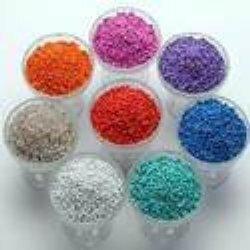 These granules are available in various colors like red, pink, orange, yellow, sky blue, violet, sea green, parrot green, bottle green, milky white and other natural colors. Our clients from different verticals can avail wide gamut of products varying in size, color and shape. We also fabricate and export customized range of products in compliance with national and international quality standards. These are offered in different industrial applications such as electrical & electronics, automotive, industrial application and extrusion. Our company possess a team of quality controllers, who check the quality at regular interval of time and ensure to reach the product within the stipulated time frame. 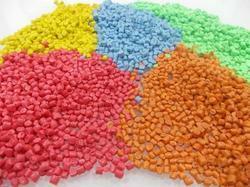 Our clients appreciate our Colored Plastic Granules for its features and widely used in plastic industries. 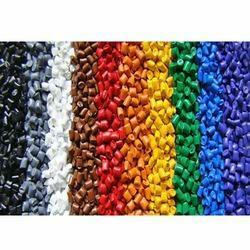 Our Colored Plastic Granules can be availed from us at market leading prices. Clean, filtered recycled plastics help plastic processors reduce manufacturing cost and help conserve the environment. We carry a list of plastic reprocessors who offer consistency in supply and quality of recycled plastic granules produced from industrial waste Recycled PP made from Raffia waste suitable for furniture moulding and ropes and yarns Various grades of reprocessed polypropylene including that manufactured from BOPP waste HDPE Raffia reprocesed in various colours suitable for blow molding, injection molding and extrusion of ropes and yarns HDPE recyclate suitable for Pipe Reprocessed HDPE Consistent quality of recycled ABS suitable for injection moulding Reprocess LDPE for films, garbage bags Reprocessed PET Recycled Nylon 6, Nylon 66 with and without glass filler. INDIA Leading mfg.of Reprocess HD(bl & MO)Granules We khushi enterprises Mumbai leading mfg of HDPE ( bl & Mo) specialize:: DWC pipe grade -&- HD crates // pp/ppcp granules splz:: ghamela/tasla/tagari/flower pots Clients can avail from us a quality assortment of HDPE/ Polypropylene Co-polymer Plastic Granules (PPCP). These are widely used in the production of various plastic products and are offered as per the specific requirements of our clients. Further, the reprocessed plastic we offer to clients is offered at market leading prices. Available as virgin or reprocessed, our GPPS Granules are high in demand in the nationwide markets. These GPPS Granules are high impact and general purpose polystyrene granules. 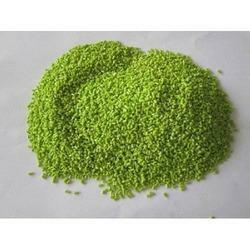 The GPPS Granules can be availed from us in bulk quantity at affordable prices. 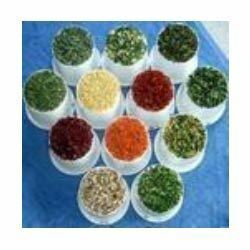 We are a well-reckoned GPPS Granules Manufacturer and Supplier in India. Manufacturers and Suppliers in India. 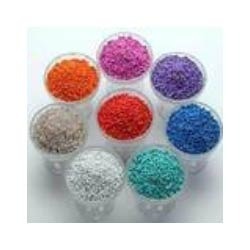 We are engaged in offering Plastic Raw Material and Reprocessed Plastic Granules such as Polyethylene Granules, Polypropylene Granules, PPCP Granules, ABS Granules, Polycarbonate Granules, TPE Granules and Recycled Plastic Granules. We are amongst the renowned manufacturer, supplier, wholesaler, distributor, exporter and importer of premium grade LD Pallet Granules. 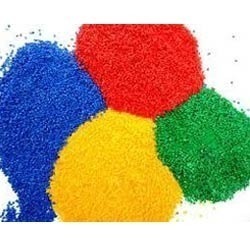 We offer various colours of high quality LD pallet granules ideal for fabricating different plastic containers, bags, electronic parts, house hold items and many other industrial items. Our LD pallet granules are very reliable, durable and long lasting with supreme strength made with compliance with industry standards. We are offering our LD pallet granules at very economical range of prices. 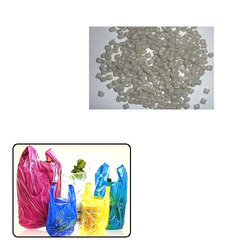 We khushi enterprises...mumbai leading Manufacturer/Exporters/importers of plastic recycling raw materials of: PP/BOPP/HM/HDPE (Bl & MO) '/Ld--'LLDPE And engg. . granules/pallets mfg/offering Wooden & plastic hangers. Please contact us. 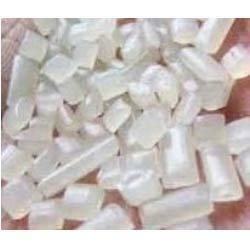 Offering finest quality plastic raw material at reasonable price as follows: - p.p. - l.d.p.e & h.m - h.d.p.e - pet, hips & abs. Mumbai - India base khushii enterprises Indian Lading mfg/distributors/importers of plastic recycling raw materials of: PP/Bopp/HM/HDPE'/'LLDPE. granules/pallets INDIA Leading mfg.of Reprocess HD(bl & MO)Granules We khushi enterprises Mumbai leading mfg of HDPE ( bl & Mo) specialize:: DWC pipe grade -&- HD crates // pp/ppcp granules splz:: ghamela/tasla/tagari/flower pots Clients can avail from us a quality assortment of HDPE/ Polypropylene Co-polymer Plastic Granules (PPCP). HDPE Granules ::splz for pipes/containers. Splz for hd pipe/ghamela/compunding industries customizes granules. We offer a wide range of Natural PP (polypropylene) Granules which are suitable for various kinds of industrial applications. These products are tested for their strength, density and quality at each stage and finally defect free product is delivered to the customer. These granules are available in natural colors and customized quantity is provided depending upon the requirement of clients. This type of plastic usually has good resistance from fatigue, they are strong and opaque. Clients can also avail from us our range of Reprocessed Plastic Dana which we manufacture, supply, wholesale, distribute, export and import in wide range. Our reprocessed plastic dana products are appreciated by our clientele for its excellent colour pay-off, supreme strength and durability for various industrial fabrication. These reprocessed plastic dana products are made from excellent quality recycled plastic materials that are fabricated into granules. Our reprocessed plastic dana products are available at reasonable prices. 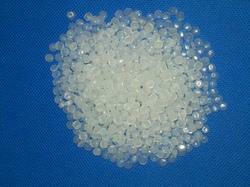 Polycarbonate Granules offered by us are manufactured using latest technology. 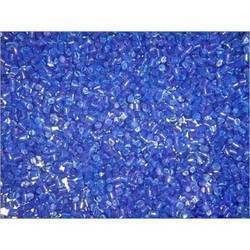 These Recycled Polycarbonate Granules find application in various industries due to their superior quality. Available in different specifications, our Polycarbonate Granules can be customized as per clients’ specifications. The various qualitative features of the Polycarbonate Granules together with their competitive price are the main reasons for their high demand in the market. Polycarbonate (PC) is a linear polycarbonic acid ester prepared from a dihydric phenol. Polycarbonate possesses extraordinarily good dimensional stability with a high impact strength which is maintained over a wide temperature range. This makes PC ideal for the manufacture of laboratory safety shields, vacuum desiccators and centrifuge tubes. Khushi enterprises leading Manufacturer and supplier of granules, polymer granules, customized polymer granules, colored polymer granules and industrial polymer granules,plastic granules, plastic granule, POM granules, PBT granules, nylon 066 granules and nylon 06 granules. Hangers, Wooden Hangers, Polymer Granules, Metal Hangers, PP Granules, Wooden Designer Hangers, Reprocess Granules, PVC Blanket Covers and Transparent PVC Bags & Pouches. 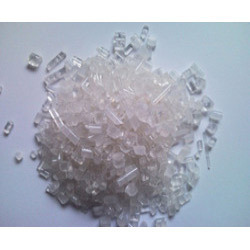 Also, we offer Polypropylene, High Density Polyethylene (HDPE) Granules, Low Density Polyethylene (LDPE), Acrylonitrile Butadiene Styrene (ABS), Nylon, EVA Granules and ID Granules, Plastic granules, Polypropylene granules, Recycled Granules, Reprocess HDPE Granules, Plastic Hanger, Wooden Hanger, Metal Hanger, PVC Welded and Stitching Bags , Satin Padded Hanger, Plastic Engineering Granules, PVC Bags, Suit Cover, Recycled Granules. We are mfg/importers of plastic recycling raw materials of: PP/Bopp/HM/HDPE'/'LLDPE. granules/pallets INDIA Leading mfg.of Reprocess HD(bl & MO)Granules We khushi enterprises Mumbai leading mfg of HDPE ( bl & Mo) specialize:: DWC pipe grade -&- HD crates // pp/ppcp granules splz:: ghamela/tasla/tagari/flower pots Clients can avail from us a quality assortment of HDPE/ Polypropylene Co-polymer Plastic Granules (PPCP). 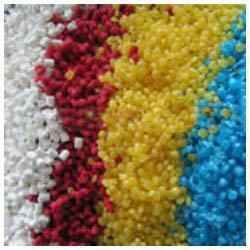 We offer semi virgin, dull natural granules of HDPE/polypropylene, reprocessed colored Hd/PP/PPCP granules, We also offer BOPP recycled material. Also available is PP powder and plant sweeping. We supply granules to so many leading mfg. 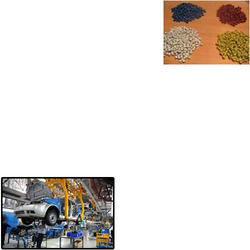 We hold skill in assembling, disseminating, wholesaling, and supplying an incomparable quality Recycled Plastic Granules for Automobile Industry. Give better pipe capacity, dark in nature, the offered plastic granules are prepared by our masters utilizing best grade plastic and modish innovation. 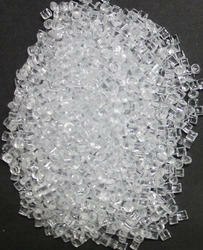 Moreover, these plastic granules are very requested by our clients for their fabulous gimmicks. We hold expertise in manufacturing, distributing, wholesaling, and supplying a supreme quality Reprocess Plastic Granules. Provide better duct ability, opaque in nature; the offered plastic granules are processed by our experts using best grade plastic and modish technology. 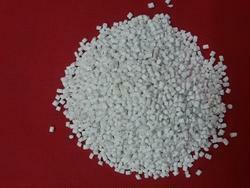 Furthermore, these plastic granules are highly demanded by our customers for their excellent features. The clients can procure from us the premium quality SAN Granules in both virgin and reprocessed forms. Our SAN Granules are known for their high quality and numerous uses. The company is chiefly engaged in the manufacturing and supplying of SAN Granules, based in India. The SAN Granules can be availed from us at the most competitive prices. 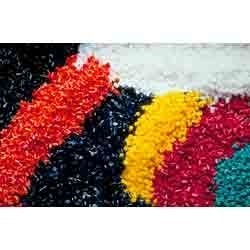 Manufacturers and exporters offer an exclusive range of ABS Granules or Dana (Acrylonitrile Butadiene Styrene)in multi color. Honda Grey /BlackABS Granules or Dana manufactured at our end ensure the highest manufacturing standards and fits into the standard criteria laid at domestic and international markets. Excellent performance rate, provide better duct ability, opaque in nature, available in various specifications, reasonable prices. Raw materials used: Ld/PP/Hd (bl & Mold) plant/sweeping/regrinde matrials use. Production capacity: 100/150 M. Tons. of plastic granules per month. Application areas: moulers/industries like pharmaceutical, beverages, pesticides, chemical and food processing/houses hold. Packaging: These are packed in the bags consisting 25 kgs. Clients: Spread all across the nation. 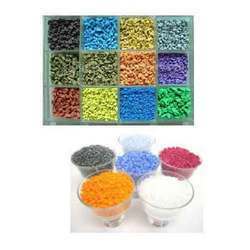 Owing to our expertise in this domain, we manufacture and offer a wide gamut of Indian Reprocess Plastic Granules. The offered granules are processed by our experts using best grade material and modish technology. Additionally, offered granules are made available in several specifications. Furthermore, these granules are highly demanded by our customers for their excellent features. Backed by a team of skilled professionals, we are offering LLDP Reprocess Granules. Offered reprocess granules are well known in the market due to its durability and high density. These reprocess granules are processed by our experts employing leading technology. Our customers can avail these reprocess granules in various specifications as per with their needs. 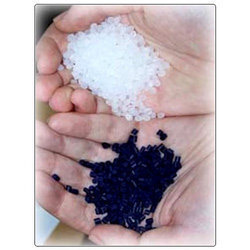 - HDPE Granules ::splz for pipes/containers. - Ld/PP/HD Pallet Granules etc. Khushi enterprises. We Mumbai base leading mfg/distributors of polypropylene copolymers ( PPCP ) granules SPLZ: unbreakabale tasla/ghamela/tagari./flower pots. 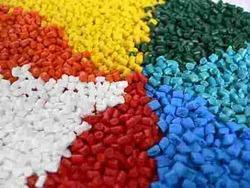 Clients can avail from us a quality assortment of Polypropylene Copolymer Plastic Granules (PPCP). These are widely used in the production of various plastic products and are offered as per the specific requirements of our clients. Further, the reprocessed plastic we offer to clients is offered at market leading prices. we offer nat/colord/black PPCD granules. 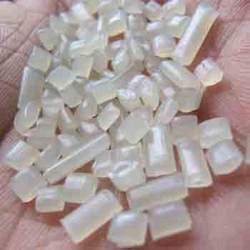 Khushi enterprises mumbai leading processor of plastic rawmatrials Polypropylene (PP) has excellent chemical resistance and is commonly used in packaging. It has a high melting point, making it ideal for hot fill liquids. Polypropylene is found in everything from flexible and rigid packaging to fibers for fabrics and carpets and large molded parts for automotive and consumer products. 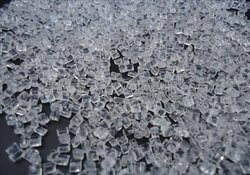 Like other plastics, polypropylene has excellent resistance to water and to salt and acid solutions that are destructive to metals. Typical applications include ketchup bottles, caps for containers, medicine bottles, wrapping to replace cellophane, chairs car bumpers, syrup bottles and automobile battery casings. Features: Excellent performance rate, provide better duct ability, opaque in nature, available in various specifications, reasonable prices. Raw materials used: Ld/PP/Hd (bl & Mold) plant/sweeping/regrind materials use. Production capacity: 100/150 M. Tons. of plastic granules per month. We are one of the leading manufacturers and traders with expert team who constantly checks the quality standards. 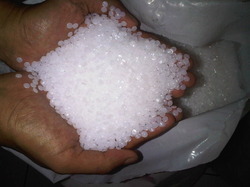 Our range of products includes Reprocessed HDPE Granules, Reprocessed LDPE Granule, Reprocessed Plastic Granule, Recycled Plastic Granule, Non Woven Carry Bags, HDPE Woven Bags, Plastic Shopping Bags, Box Packing Strips, Plastic Sutli, Adhesive Tapes, Natural LDPE Granules, Colored LDPE Granules, Transparent HDPE Granules, Milky HDPE Granules, Colored HDPE Granules, PP Non Woven Granules, PP Granules, PP Color Granules etc. Our products are greatly appreciated for their high reliability, durability, efficiency and long lasting nature. They are fabricated using high standard quality raw materials that are tested for their quality and reliability. Raw materials used: Ld/PP/Hd (bl & Mold) plant/sweeping/regrinde materials use. Production capacity: 100/150 M. Tons of plastic granules per month. We khushii enterprises leading mfg. 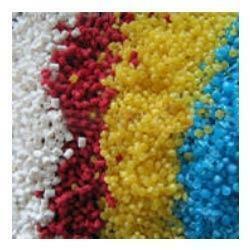 ,suppliers & impoters and exporters of all type of plastic granules. We have splz hd dwc pipe// hdpipe. Compounding granules of pp/ppcp, and houses hold granules which supply leading manufacturers in india. .
NDIA Leading mfg.of Reprocess HD(bl & MO)Granules We khushi enterprises Mumbai leading mfg of HDPE ( bl & Mo) specialize:: DWC pipe grade -&- HD crates // pp/ppcp granules splz:: ghamela/tasla/tagari/flower pots Clients can avail from us a quality assortment of HDPE/ Polypropylene Co-polymer Plastic Granules (PPCP). These are widely used in the production of various plastic products and are offered as per the specific requirements of our clients. Further, the reprocessed plastic we offer to clients is offered at market leading prices. 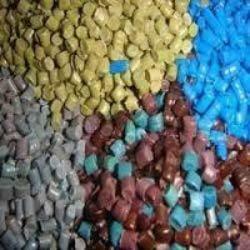 Being a quality oriented organization; we are able to offer Recycled Plastic Granules. 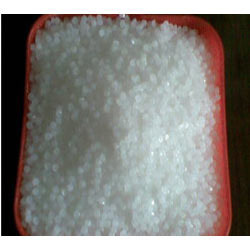 Offered plastic granules are available is PP powder and plant sweeping. 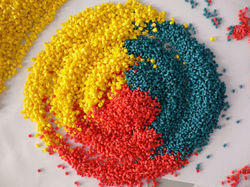 These plastic granules are processed by our experts employing leading technology. 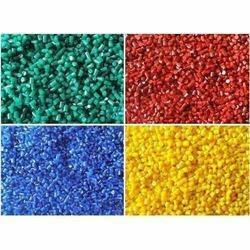 Our customers can avail these plastic granules in various specifications as per with their needs. By keeping track of the latest technological developments, we are offering a superior quality Recycling Plastic Granules. 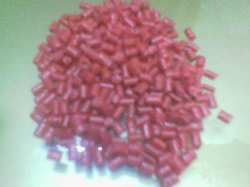 These plastic granules are provided in best packaging material. 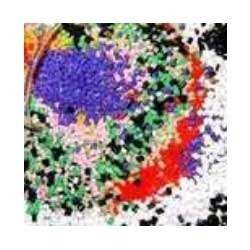 The offered plastic granules are processed using modern techniques by our qualified professionals. Our plastic granules are checked on a series of parameters to assure their unmatchable quality. 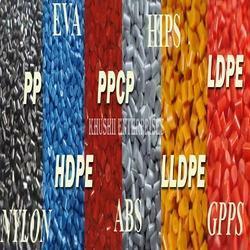 Khushi enterprises Leading mfg./distributors of plastic granules. 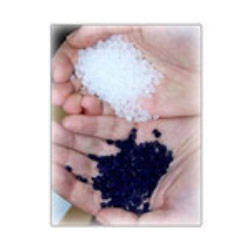 Our product range includes a wide range of Plastic Granules such as Polypropylene Granule, High Density Polyethylene (HDPE) Granules, Low Density Polyethylene (LDPE), Acrylonitrile Butadiene Styrene (ABS ), Nylon 6 & 66 Granules, EVA Granules and many more items. 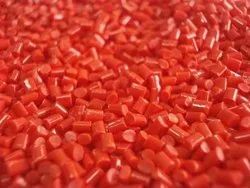 With our expertise in this domain, we are able to offer a superior quality range of Reprocess Plastic Granules. these products are manufactured using finest quality clean, filtered & recycled plastic under the close supervision of our experienced professionals. Our range is used for furniture moulding, blow molding, injection molding and extrusion of ropes and yarns. Furthermore, our range is tested on certain parameters of quality to ensure its flawlessness, before final dispatch. The range we offer includes ld/pp/hd/engineering rp granules. HDPE Granules ::specially for pipes/containers. Looking for Plastic Granules ?